Riccardo Formosa was born in Rome, but spent his formative years in Montreal, Canada. In 1974 he emigrated to Australia where he found employment as a commercial music arranger and studio musician. Formosa was also a founding member of the Little River Band, for whom he wrote studio arrangements and played lead guitar on tours and two successful albums in 1975-76. Formosa commenced a Bachelor of Music degree in 1979 at the NSW State Conservatorium of Music, studying under Martin Wesley-Smith and Don Banks, but abandoned the course the following year. He continued his studies privately with Richard Toop before returning to Italy in 1982 as the recipient of an Australia Council Fellowship. He was awarded a further Fellowship in 1983, which allowed him to continue his studies with Franco Donatoni at the Accademia Nazionale di Santa Cecilia in Rome (from whence he graduated with distinction) and at the Accademia Chigiana in Siena. While in Siena he also took the opportunity to attend Franco Ferrara's masterclasses in conducting. Formosa has continued to work as an arranger, conductor and studio musician for recordings, radio and television. He became Artistic Director of Melbourne New Music, an organisation run by the Victorian College of the Arts and the Victorian Arts Studio, on his return to Australia in 1983, and was composer-in-residence with Musica Viva in 1986. Formosa's compositions were selected to represent Australia at the four ISCM World Music Days held in Canada, Holland, Hungary and West Germany between 1984 and 1987, and also at the 1984 Paris International Composers' Rostrum, the 1986 Gaudeamus International Music Festival in Amsterdam and the Buffalo New Music Festival in the USA in 1989. His music has been performed by such ensembles as the Gaudeamus Quartet, the Tokyo City Philharmonic, the Hungarian Radio Orchestra, and the Seymour Group. 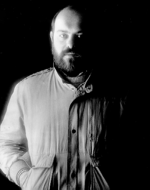 In 1988 Riccardo Formosa was the winner of the John Bishop Memorial Prize, other awards including the Gold Lion Award from the Cannes Advertising Festival and the Mobius Award (Chicago) for the original music score for 'Best International Television Commercial' in 1991, and many Australian FACTS and Art Directors' Club awards for original music in Media and Advertising. Vertigo (quartets: flute, oboe, clarinet, piano) (1986) Commissioned by Musica Viva Australia. Durchfuhrung : piano quartet (1984) Commissioned by Musica Viva Australia. Book: Vertigo : Riccardo Formosa's composition technique / by Michael Laurence Gordon Barkl.